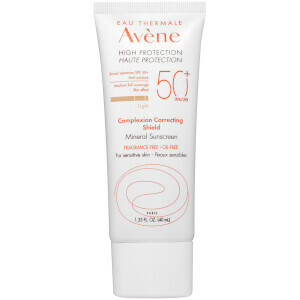 Protect your skin with Avène's Hydrating Sunscreen Balm SPF 50+, a lightweight formula that protects sensitive, sunburn-prone areas from UVA/UVB damage (such as the eye contour, lips, nose, ears and scars). The fast-absorbing, oil-free balm delivers an invisible veil of broad spectrum sun protection; it defends against UV damage whilst delivering antioxidant properties to keep skin safe and healthy when outdoors. It also provides 24 hour hydration and resists water for 80 minutes. Free from fragrance, parabens, oil and oxybenzone. Apply liberally 15 minutes before sun exposure. 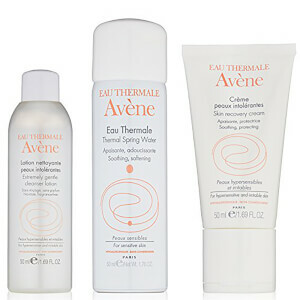 Reapply: after 80 minutes of swimming or sweating, immediately after towel drying, at least every 2 hours. Active Ingredients: Octinoxate 6%, Octocrylene 6%, Titanium Dioxide 1.5%, Zinc Oxide 3%. Inactive Ingredients: Shea Butter Ethyl Esters, Ceresin, Butyloctyl Salicylate, Hydrogenated Polydecene, Hydrogenated Polyisobutene, Copernicia Cerifera (Carnauba) Wax, Polyethylene, Ethylhexyl Palmitate, Ethyl Macadamiate, Aluminum Starch Octenylsuccinate, Octyldodecanol, Lavandula Angustifolia (Lavender) Extract, Water, Glycerin, Silica, Kaolin, Sorbitan Sesquioleate, Hyaluronic Acid, Aloe Barbadensis Leaf Extract, Tocopheryl Acetate.